How long have you worked for your current employer? Most likely, it’s significantly shorter than the author of today’s post, Tupenny of Tuppennys FIREplace. In this post, Tupenny reflects on why she stayed in the same department for 30 years and what motivated her to finally move on to a new opportunity. If you’ve ever felt like your job is getting stagnant but you’re afraid to step past your comfort zone, this post is for you! If you want to retire early with a comfortable income, then everything you read will tell you that you need to earn as much as you can, save hard, and invest wisely for a good number of years. When Mr. Tupennny and I originally decided to aim to retire early, we hadn’t heard of the FIRE movement. 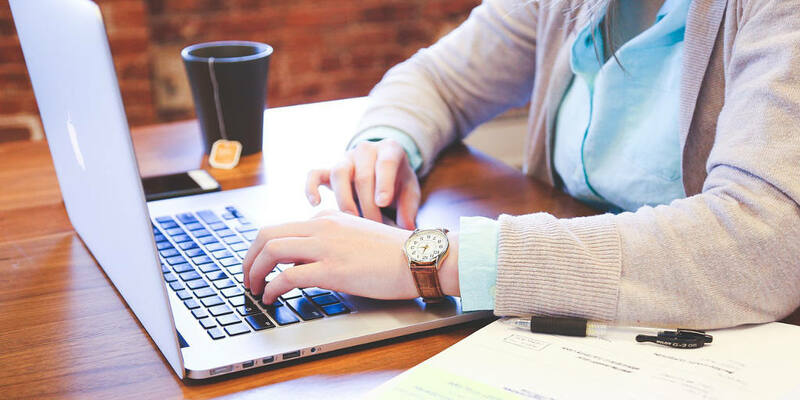 If you’ve not heard of FIRE before, it stands for “Financially Independent Retire Early” and the aim is to save enough money so that working becomes optional. When work becomes optional, you can choose whether to continue working, go part-time, or leave altogether to pursue other interests. Our original goal was to leave our jobs, move to the country, and somehow make a living/surviving this way. We felt drawn to leaving traditional work in order to live a more sustainable lifestyle by somehow working the land (we don’t have land), growing our own, and making our own. Financially I couldn’t see how we would make this happen, but it became our goal anyway. As is often the case with goals, our goal became more focused over the years and morphed into a “lean FIRE” plan (lean = a frugal and not overly lavish lifestyle). We knew we wouldn’t be able to do this where we currently live and on top of our current jobs, so the jobs and their salary would have to go. But in order to leave the jobs, we needed to save enough money to enable us to live without that income. At this point, I realized I had wasted a significant portion of my working life not chasing the money. I was sat in a civil service pay grade that I had been in for 20 years! I changed jobs fairly frequently, moving offices, to different teams – but always in the same junior management grade. However, I had deliberately not applied for promotion opportunities, even temporary ones. It can be difficult to get a promotion if you don’t work in London, but it certainly isn’t impossible. There had been two rounds of promotions that I had deliberately not applied for even though I was probably more experienced than many. I have been lucky in my career in that every senior manager I have worked for seems to appreciate my work, and I get good annual appraisals. I work hard and am always willing to go the extra mile if management or the customer needs/wants it. I have found there can be a lot of favoritism in the civil service: sometimes it’s about who you know, not what you know. For me, I have usually been “known” and in favor so this has not done me any harm, although I do not agree with it. Indeed, I could definitely have made more of this in the past if I had wanted to get on. So why hadn’t I applied for a promotion during these 20 years? I was quite happy being a big fish in a small pond. In my small circle of influence, I was held up as the go-to person and an expert. Senior managers would seek me out and encourage me to join their latest team. I guess it pandered to my ego to remain at a lower grade and in an “expert” role instead of widening my knowledge and potentially taking on work that I wasn’t an expert in. In my defense, it also suited our family situation in the early years for me to work locally. Childcare was organized around my hours of work. Mr. Tupennny, being self-employed, often worked long distances and/or long days. He couldn’t just up and leave a client’s work if the school or babysitter called. And as a mom, I liked being local and able to respond if the school phoned to say my child was ill and needed picking up. Let me be honest, there were plenty of moms and dads in the pay grade above me. I could have made the next grade work for me with a bit of effort. However, I was too comfortable in my day-to-day working life and didn’t stop to look at the bigger picture. I didn’t think about what my career or life aims were. I didn’t think about where I wanted to be in five or ten years. Looking back, I was coasting through life without a clear plan – or any plan! I had never stopped to analyze my life and set life goals until we started down the road towards FIRE/moving to the country. Better late than never. Having joined as a 17-year-old, I have never considered leaving the UK civil service for another job. Even with my new sense of chasing the money, I have never changed this decision. Mainly for educational reasons. These days you need a degree to apply for most jobs, regardless of life and work experience. I do not have a degree as I left school at 16 and never went back to education. If I wanted to seriously change my career, I would need to invest a significant portion of my time for quite a few years in gaining a formal education. When you work “very full-time” (10-hour days are my norm) and have a young family, then you can find it difficult to find the time or motivate yourself to do something you are not overly keen on doing. The idea of night school as a stepping stone to a bigger salary much further down the line did not appeal to me. At All. Ever. Call me lazy (I would). Call me short-sighted (that, too). However, I calculated we could achieve our aims if we saved hard and increased our income somewhat… All without the need for me to undergo serious studies. Getting promoted within the UK civil service – whether I stayed in my home department or moved to another – does not require any educational qualifications unless I am applying for specialist roles (which I’m not). Therefore, getting promoted in-house required me to put in more effort to raise my profile and get through the application process but not undertake years of study. You can see why I let you call me lazy! I can sometimes fall into the trap of “Do as I say, not as I do,” especially as a parent (don’t we all at some point?). When it comes to education, I fall headlong into this trap. I left school at 16, but I promise you, both of my children were under no illusions regarding my expectations for their education. Not because I am a hypocrite, but because I know these days a decent education and work-related skills are so important. I got lucky working and staying with my employer for my entire working life but I know how much less likely that option is today. When I eventually realized that making more effort to get promoted internally would help us achieve our goals, I decided I needed to change my attitude toward work. I felt I was perfectly capable of taking on the work of the next grade, but perhaps I wouldn’t enjoy it as much. Possibly one element was also letting go of the expert role and the kudos this brought me. What tipped it for me, though, was the 15% pay rise I would get if I moved up one grade. A 15% pay rise when the civil service was capped at 1% due to austerity measures (government budget regulations) and a difficult economy was something worth pursuing. Within months of my financial lightbulb moment, I actively sought out and successfully gained a temporary promotion. I’ll be honest, it fell in my lap and I didn’t have to bust a gut to get the job. The job description read like a write up of my exact experience and expertise. I may not have had to bust a gut to get it, but boy did I work hard. From working locally just five miles down the road, I was catapulted into driving all over my county every day. I thought nothing of doing a two-hour drive each way for a client meeting to help achieve the targets I had been set. I didn’t have time to eat (thank you – a nice 17-pound loss), and I worked harder than I had done in a long time. I realized that promotions are not just about the job you see. I gained so many additional skills in that temporary role. Skills that led me to a permanent promotion six months later and that I still use today. Even though the topic was in my field of expertise, I was out of my comfort zone most of the time. To my surprise, I found not being in my comfort zone an enjoyable challenge. I had to overcome so many obstacles that in other jobs someone else would have been responsible for. It was a project with an extremely challenging timeline. A timeline that only two districts other than mine managed to achieve in the whole of England. Go me! I also learned that relying on just yourself can cause a few sleepless nights and isn’t healthy in the long term. I took this project on at face value and didn’t question my senior managers when they indicated it was for me to sort in its entirety. Eventually, I found out from others in the same role that they had support because they asked. I didn’t have support because I didn’t ask – another lesson learned. These are all skills that have helped me ever since in my subsequent jobs. I also developed so much more as a person. I was less afraid to try new experiences and more willing to get out of my comfort zone at home as well as at work. These are skills I could have been developing 15 years before I did. What would my career and life experiences have been like if I had gotten out of my comfort zone sooner? Who knows but it did wonders for my confidence. A few years later, I was yet again crunching our numbers seeing how much more we needed to save and how much longer we needed to work. We were still some years away, and I looked at what could we do to bring this further forward. I applied for a job in a different department and in a higher grade. This was a HUGE deal for me. I’d been in my department for over 30 years by this point. I’d had plenty of different jobs but still the same employer. Now I was cheekily asking to get promoted to a better-paying department having no experience of their work. Walking into a new department after 30 years felt surreal. Even more so when I realized my new job meant managing professionally trained people and all the other managers that had risen up the professional ranks. Oops – imposter syndrome, here I come! In this new job, I have worked even harder than before. Taking on the professional training in my own time and managing a full team – no reduction for the new girl. I’ve taken on additional responsibilities that make use of my existing skills and am already becoming known as an expert for certain work areas. I would not have done any of this if I had stayed in my previous grade of 20 years. So yes, I was wrong to stay in my old job for 20 years and the same department for 30. But I think I’m slowly making up for it though, don’t you? What steps have you taken to ensure that you continue to develop in your career? Great to read your story again, Tuppenny. I can’t top your numbers, but I did 21 years with the same employer and was in my last role for 10 years. I avoided going for promotions because I wasn’t motivated by money and valued job satisfaction over what I earned. I also didn’t want to be a ‘manager of people’ because I didn’t believe that the extra money justified the extra responsibility, so I’ve always managed to just skirt just beneath that level. I had a stint covering for a manager while she was on maternity leave – although I was told that I did a great job, I did not enjoy it at all. The one time I realised that I needed do something about my career because I was going nowhere, I took a big risk and left my permanent role for a 12 month project role, with no guarantee of a return to a permanent job – I’d been at the company for 9 years at this point. The project role didn’t result in a big pay increase but had me travelling to countries I’d never visited and was extended for a further 6 months. I managed to secure another permanent role after the project ended and stayed in that role until I was made redundant in 2016. I know that by staying with the same company for so long, I did not maximise my salary by negotiating with better packages with new companies. However, my final salary pension (unusual for private sector companies) is what I stayed for, plus life-long friends I’ve made. Without that pension already in the bag, I’m not sure my plan to FI would be so viable or whether I would have even considered going for it. Conversely I stayed in junior management because I felt I was better at managing than doing the specialist roles (client facing) that my staff did! My final salary pension definitely helped me stay put, once I worked out how valuable it was! Without it we would not be FIREing so soon (if at all). Thanks for sharing your story with so much honesty! And congrats on the promotion. They didn’t “fall for it”, you deserved it. Thanks Camilo – a little bit of imposter syndrome showing itself there! Just to say I love your story Tuppeny – it’s lovely to see that you have enjoyed working at the same place for all those years – and no doubt survived many many changes, reorgs and shake ups. It’s certainly an approach you don’t hear often nowadays. Thanks MsZiYou! I’ve always enjoyed working and getting satisfaction from a job well done DESPITE the politics at play. If you stay in a government department long enough everything comes back round again, supposedly a new idea! I’ve never been one to moan at work – after all I could have left the job so choosing to stay means getting on with it. The final salary pension helped of course! Did I die… how did I miss this post, Tuppenny? I know most of your published life events because I’m a super stalker… but hmmm. I used to want to be with the same company for 30 years when I was younger and I thought that’s what you should want. 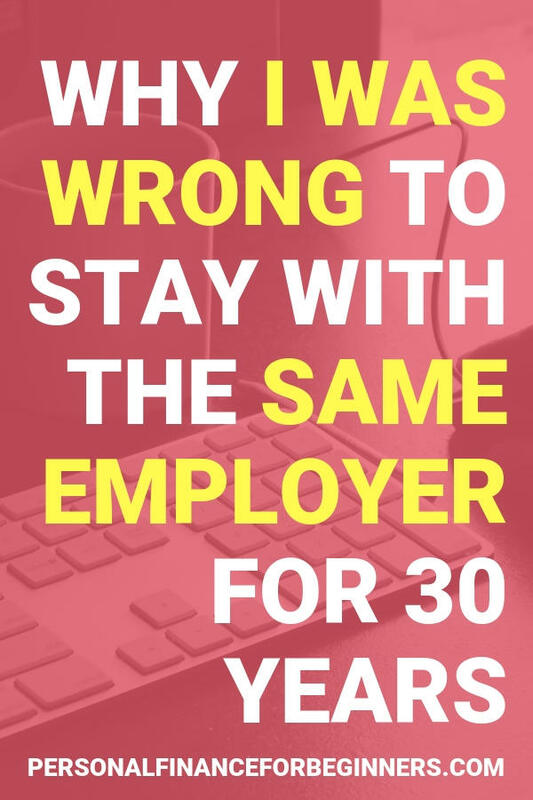 There’s so much stability in routine… but staying with the same company for 30 years means working for 30 year…ugh. Even now, I’m reluctant to leave my company even though I could be making more somewhere else… I’d rather just try to move departments…but even that has proven to be a fool’s errand.. People here leave me alone and I don’t want to go through the headache of getting a new job and having to deal with new personalities… that’s my biggest fear… yes, I’m willing to admit the fear factor.